Maria Guzman, 29, from Caracas, Venezuela is working with CARE staff in Quetzaltenango, Guatemala. Maria’s goals were to assist with PIIRS and Impact data. Her first tasks were to assist with Women’s Economic Empowerment projects but when she met with her manager she realized that there was not a clear understanding of the global indicators across the entire team. So, in collaboration with her manager decided that she should assist all the projects with mapping their global indicators, get a better understanding of the projects and how projects and project leads are doing their M&E. What has been different than you expected? I participated in two different 1-week workshops. 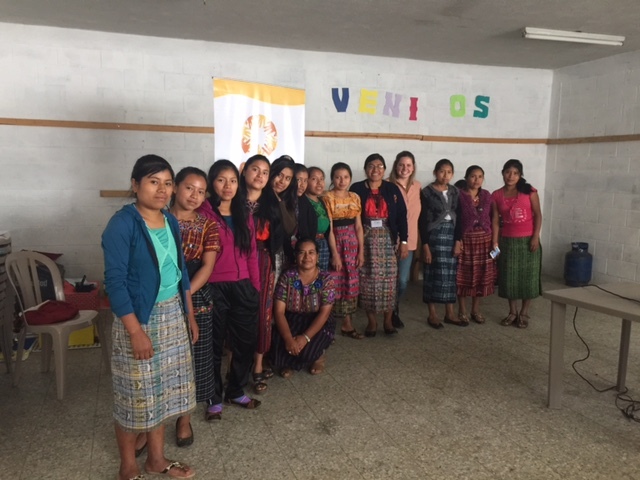 One week we met with the entire CARE Guatemala team (project managers and country director) and discussed the country strategy and desired changes. I assisted the team with making sure that their strategies and theory of changes were aligned with the global indicators and also clarified what some of those global indicators meant. The second workshop was with the LAC team. In this workshop, PIIRS, M&E, and regional results for FY16 were discussed. I realized that every country is doing things differently. Every country has different data collection tools and M&E methodologies and there was lack of clarity for both global indicators and LAC indicators. I helped clarify some of the global indicators and also shared some resources that are available for them (such as the CARE Electronic Evaluation library, which they were previously unaware of). I believe that these workshops truly provided me with the big picture. 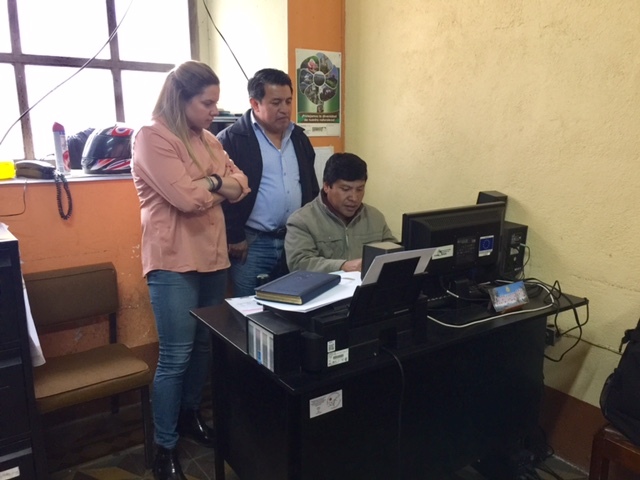 My manager and I both benefited from this because we were able to identify the gaps, misunderstandings, and goals for the CARE Guatemala team in terms of PIIRS and MEL. What has/have been frequently asked question/s about PIIRS and/or the global indicators at your CO? How to determine direct and indirect participants especially in advocacy projects? How to determine direct and indirect participants in resilience projects? Can you clarify the gender, resilience, and governance marker? How to measure the global indicators? I realized that project managers usually are the fundraisers, project coordinators, and M&E person all at once. It is hard to perform all these functions with few resources. Money is an issue and M&E appears not to be a priority in budget allocation. In addition, most of the resources are in English and language is another barrier for the team. Most of the methodologies and tools that CARE International and CARE USA have are in English, and Country Office staff are also unaware of many of the resources that are available for them. In addition, according to one of the teams, some of the reports have been translated incorrectly (from Spanish to English) and that poses challenges and delays. I think that I’ve helped them better understand the global indicators, the importance for proper M&E methodologies, and knowledge sharing. I believe that the CARE Guatemala staff see me as the person who can voice their challenges and needs at CARE USA. I hope that they can take advantage of the resources that I’ve shared with them, take into the account the importance of knowledge management, and have a better understanding of reach and impact data. Wow – I do not know where to start! I’ve had an amazing learning experience. I’m amazed by the expertise around the team. Some of the staff have been working here for fifteen to twenty years. They are experts in their sectors (gender, climate change and resilience, and food security) and they have shared their knowledge and expertise with me. I can’t thank them enough. At the same time, I believe they have valued my input and appreciate my support. They have really made feel a part of the team. There have been two earthquakes (6.9) and both times I have been close to the epicenter (I’ve never been in one before). The team has great security protocols and for both times (and in general) they have made sure that I’m safe. These two tremors sparked my interest in emergency preparedness. I believe that there is a lot of work that can be done in this sector in Guatemala.